Tags: 9-11, Michael W. Smith, tribute, video To share or post to your site, click on "Post Link". Please mention / link to the ARRA News Service. Thanks! Bill Smith, Editor: The below referenced article was titled: "Lincoln's Last Earmark" based on a Wall Street Journal article. But in fact, Sen. Lincoln is still in office and may well do more damage in a both the pre-election and post election Lame Duck Session. Thus, this post reflects the title: "Blanche Lincoln's Latest Earmark." Lincoln has become a master at Plantation Politics (helping to enrich those in power) especially when it has come to enriching her own coffers via farm subsidies. I will offer more comments after the following posted article about Lincoln. by Ted Abram, Freedom Works: Senator Blanche Lincoln of Arkansas has been attempting to change an agriculture insurance law to allow corporate agribusinesses to retroactively extract hundreds of thousands of dollars from the US Treasury. The total cost is $1.5 billion. Mrs. Lincoln's claim is preposterous enough that she can't persuade even her fellow Democrats to pony up the cash. First she suggested tapping TARP for the money. When that didn't fly, she tried unsuccessfully to add an earmark to a war funding bill, and then to the small business bill that Congress will take up after Labor Day. Her colleagues keep saying "no." Enter the White House. In an August 6 letter, deputy budget director Robert L. Nabors II pledged that "the Administration is committed to providing [the disaster] assistance consistent with your legislative proposal by the end of the month." The White House says it can do so under a Depression-era law allowing tariff funds to be used for farm emergency payments. Will the amounts received by the agribusinesses be published? Apparently, not. Coincidentally—or not—the USDA has chosen this moment to stop publishing the names of farm subsidy recipients and how much they receive. As EWG (Environmental Working Group) puts it: "This policy effectively shields from disclosure subsidy benefits going to multiple, and often absentee, owners of large, agribusiness farming operations." The USDA says shutting down the data base will save money. Welcome to the new era of transparency in government. According to the WSJ the insurance program has merit, and this raid will destroy the program. If Mrs. Lincoln gets her $1.5 billion, the White House will have eviscerated the one laudable farm subsidy reform in years. Congress will revert to raiding the Treasury every year to enrich its wealthiest constituents. All of this in a last ditch, and probably futile, effort to help Mrs. Lincoln retain her Senate seat. Tragically, this is politics as usual in DC. Democracy and Power 103: The politician transfers money from productive people, to mostly favored special interest groups. Or as Walter Williams states: Conservatives and liberals are kindred spirits as far as government spending is concerned. First, let's make sure we understand what government spending is. Since government has no resources of its own, and since there's no Tooth Fairy handing Congress the funds for the programs it enacts, we are forced to recognize that government spending is no less than the confiscation of one person's property to give it to another to whom it does not belong – in effect, legalized theft. Well, there it is in a nutshell. Sen. Blanche Lincoln has been receiving Farm subsidies via her corporation for years. We reported about this three years ago. Under the Obama administration, she voted out of committee the infamous take over of the healthcare industry which establishes the forced purchasing of medical insurance by all Americans. Her reward, the Chairmanship of the Agriculture Committee. Subsequently, the USDA headed by an Obama appointee decides that they need to save money by reducing transparency (not farm subsidies) thereby stopping the reporting names of farm subsidy recipients and the amounts they receive. This action thus shields Sen. Blanche Lincoln from further disclosure of the farm subsidies she or her corporation(s). trusts or family and friends receive. Lincoln wants to be re-elected and even brags about her chairmanship of the Agriculture Committee as being good for Arkansas. Well, her prior membership on and her now chairmanship of the Senate AG Committee combined with selling out Arkansans has provided successful access to money and power for herself and her liberal elite friends. Lincoln has played Plantation Politics to hilt. It is time for Sen. Blanche Lincoln to receive the just rewards for abusing of power. It is time for her to be forced retired in November. Unfortuantely, she will still be able to receive her already excessive Congressional retirement at her Virgina home. I have no doubt, there are already other plans for Lincoln. She played the game on the behalf of Big Government and limiting freedoms of Americans. Just a guess, but her buddies Clinton, Biden, Reid and Obama may even give her the key to Plantation Management Center - the USDA. In conclusion, I leave you with this interesting items. The Arkansas Democrat-Gazette which seldom offers negative comments about any democrat in office stated in a recent editorial: "What’s remarkable about Blanche Lincoln is not only her insatiable appetite for ever more perks for agribusiness - for any senator from a rural state like Arkansas might share it. 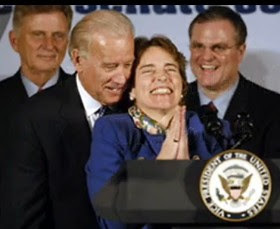 What’s remarkable is her pose as a defender of the little guy as she prepares to turn her senatorial campaign into another exercise in class warfare against those evil grabby Republicans. It’s the hypocrisy of it that rankles most, not just the wretched excess." Tags: Blanche Lincoln, USDA, pork, farm subsidies, transparency, reduced transparency, Ag Committee, plantation politics, 2010 election To share or post to your site, click on "Post Link". Please mention / link to the ARRA News Service. Thanks! Sarah Palin and even Sean Hannity endorses Christine O'Donnell, Delaware candidate for US Senate. Palin also spoke about the economy, the proposed (currently canceled, maybe on again) Koran-burning, the congressional races, and more on Sean Hannity's radio program. Tags: Sarah Palin, endorsement, Christine O'Donnell, Delaware, candidate, US Senate, Sean Hannity, radio show, To share or post to your site, click on "Post Link". Please mention / link to the ARRA News Service. Thanks! Tags: Herman Cain, Video, promo, Tea Party 9/12 To share or post to your site, click on "Post Link". Please mention / link to the ARRA News Service. Thanks! After hearing President Obama's speech today, it seemed only appropriate to issue this Public Service Announcement and to provide readers with a sign to post in public areas or places you think are appropriate. Please provide copies to friends. 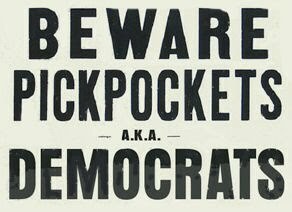 Tags: Beware, Pickpockets, Democrats, To share or post to your site, click on "Post Link". Please mention / link to the ARRA News Service. Thanks! President Obama & His 'Stimulus' Plan: "That's Our Entire Agenda"
BETTER SOLUTIONS. Earlier this week, House Republicans called for bipartisan action this month on a two-point plan to help our economy get back to creating jobs by cutting unnecessary government spending and stopping the looming tax hike on families and small businesses. This plan will be followed in the coming weeks by a more comprehensive governing agenda built around the feedback Republican Members of Congress received at town halls across the country, held under the America Speaking Out project, during the month of August. Americans can review, debate, and vote on the proposals that have been offered, and will continue to be offered, on AmericaSpeakingOut.com. Tags: President Barack Obama, Stimulus plan, lost jobs, unemployment, debt, foreclosures, America Speaking out, John Boehner, To share or post to your site, click on "Post Link". Please mention / link to the ARRA News Service. Thanks! Sen. Jim Demint, The Washington Times: Even though they failed to create jobs, stimulate the economy or make health care affordable, President Obama, Senate Majority Leader Harry Reid and House Speaker Nancy Pelosi want a raise. Based on their recent voting record, it could be a $3.8 trillion raise. That's how much new money Washington will take from American workers and families over the next decade if all the Democratic tax increases are enacted next year. And despite being in control of Congress since 2007, Democrats have done nothing to stop any part of this tax explosion. Rather than admit they want to give the government a raise, the Democrats claim the government "can't afford" to keep taxes low. The truth is that Americans can't afford the European-style, socialist government the Democrats want to create. After voting four times a few weeks ago to raise taxes on every American taxpayer, Democrats are facing the wrath of voters and scrambling to hide their record. Democrats claim they only want businesses and upper-income taxpayers to pay for their raise, but Americans have caught on to this class warfare, and they know every new tax on employers means more jobs will disappear. Most people get raises for jobs well done. The Democrats want a tax raise because they haven't done their jobs. Instead of working to reduce the national debt, they've added trillions to it. To pay it down, they prefer to take another cut from Americans' paychecks rather than cut government spending. This is how Washington thrives at America's expense. Remember how self-serving members of Congress got every pork-barrel project they ever wished for in Mr. Obama's $787 billion stimulus bill? That bill produced thousands of earmarks, but not jobs. The Obama administration and the Democratic Congress haven't solved any of the problems that led to the financial collapse. They've used the economic meltdown as an excuse to steer tax dollars to political allies, donors and pet projects with their bailouts and takeovers. Such me-first thinking by people who, in the words of White House Chief of Staff Rahm Emanuel, didn't want to "let a serious crisis to go waste" plunged the economic crisis that began in 2008 into a deep, long-lasting recession. Increasing taxes now would be like tying an anchor around the flailing economy's neck. . . . . People who vote for incomprehensible bills shouldn't be given another $3.8 trillion to waste on their bad ideas. Increasing taxes will only fuel their out-of-control, big-government agendas. Those who say we "can't afford" current tax rates care more about pumping up government programs than the prosperity of the American people. Citizen entrepreneurs, small-business owners and workers should not be forced to cut back on their plans in order to fund more spending programs dreamed up by Washington politicians and bureaucrats. Tags: Jim Demint, Democrats, President Barack Obama, Harry Reid, Nancy Pelosi, raise, Washington, D.C. To share or post to your site, click on "Post Link". Please mention / link to the ARRA News Service. Thanks! Gary Bauer, Contributing Author: The Obama Administration’s approach to foreign policy requires a passionate embrace of moral equivalence. Nowhere is that approach more demonstrably corrupt than in the administration’s actions on the United Nations Human Rights Council. The Obama State Department recently sent the United Nations Commissioner for Human Rights its Universal Periodic Review (UPR), which is essentially a human rights audit that all UN members must conduct every four years. The 30-page report touts all the steps the administration has taken to help America become “a more perfect union,” by which the administration means steps it has taken to help America become more like Europe. The administration pats itself on the back for Obamacare, for its “stimulus” spending and for its efforts to end so-called “unlawful interrogations” of terrorists. But then it discusses all the ways in which human rights are supposedly violated in America: our discrimination against gays, racial minorities and Muslims; unequal pay for women; the Arizona immigration law; the death penalty and the still-operational Guantanamo Bay detention camp. Clearly Obama thinks of human rights quite differently than you and I do. And the administration left off of its list any mention of the actual human rights violations that occur in America (abortion-on-demand, left-wing voter fraud, etc.). To this administration, America’s most egregious sins include laws that prevent men from marrying other men and statues that allow border-state police officers to enforce immigration law. This was the first-ever report the U.S. has submitted to the council. That’s because President Bush refused to be part of a “human rights” organization whose membership includes Cuba, Pakistan, Libya and China. The UN Human Rights Council is a farce. Its Muslim members regularly sponsor “defamation of religions” resolutions, which are essentially global blasphemy laws to protect Islam from criticism. And 80% of the council’s resolutions condemn the only true democracy in the Middle East, Israel. By joining last year, the Obama Administration gave the council unwarranted credibility, not to mention nearly a quarter of the council’s annual budget at U.S. taxpayers’ expense. It is unlikely that countries such as China and Cuba will do much hand-wringing over their UPR reports. According to Freedom House, each country essentially writes its own report. And we know how reliable the information is coming out of Cuba and China. In May, the council voted to add Libya, Angola, Malaysia, Qatar and Uganda as new members. Keep in mind, to get voted onto the council, 80% of U.N. members most vote for you. The administration has been at pains to defend its approach to human rights as “nuanced.” Last December, Clinton said, “we must be pragmatic and agile in pursuit of our human rights agenda, not compromising on our principles, but doing what is most likely to make them real.” The upshot of that approach, however, is that words like “freedom,” “human rights” and “democracy” rarely make appearances in Obama’s speeches. Meanwhile, recalcitrant regimes the world over have felt emboldened to Obama’s inattention to human rights. Human Rights Watch and Amnesty International both gave Obama mixed reviews in recent reports. “He has created a false choice between having to speak out forcefully on human rights or being pragmatic and getting results on other issues,” Amnesty International USA Executive Director Larry Cox told Reuters. America has always married advancing democratic values with national economic and security goals. In choosing to speak softly (when he speaks at all) about human rights, President Obama projects a weakness that infects all areas of his foreign policy. The Obama Administration should not treat human rights as an impediment to a successful foreign policy, but rather as a cornerstone of it. Gary Bauer is is a conservative family values advocate and serves as president of American Values and chairman of the Campaign for Working Families where his articles are shared. This article also appeared in Human Events. Bauer was a former Republican presidential candidate and served as President Ronald Reagan’s domestic policy adviser. Tags: President, Barack Obama, UN, Human Rights Council, bow, Gary Bauer, Campaign for Working Families To share or post to your site, click on "Post Link". Please mention / link to the ARRA News Service. Thanks! Apparently one broken promise on health care deserves another. Following yesterday’s reports that health insurers are planning on raising premiums in response to the mandates in Democrats’ health care law, despite Democrat promises premiums would be lowered, today reports are that health care costs will still rise, despite Democrat assurances that it would lower costs. “In trouble” might be a bit of an understatement at this point. It’s getting difficult to even recall all the different reports and analyses that have shown how the Democrats’ health care bill breaks the promises made about it. Since the bill passed, we’ve learned it won’t bend the cost curve, insurers are being forced to raise premiums, 3 million seniors may be forced to switch their drug coverage, additional solvency for Medicare is largely an “appearance,” it’s “impossible” to estimate the number of new government boards, agencies, & commissions created by the law, it will “devastate” small businesses and “their ability to create jobs,” “many employers will be forced to make changes to their health plans,” the bill will cost $115 billion more in extra spending than projected, Medicare Advantage customers will see their benefits cut, more than 1 million part-time, retail, and restaurant workers could lose their coverage, small businesses expecting a tax cut to help pay for health care are facing a “bait-and-switch,” premiums for families on employer health plans will increase, and taxpayers will pay billions of dollars more to finance all of it. And this is just a partial list of the consequences of the health care law. No wonder majorities of Americans continue to disapprove of this multi-trillion dollar mistake. A recent CNN poll showed 56% still oppose the law. Not only that, Time’s Kat Pickert wrote recently on the Swampland blog that the “emerging conventional wisdom” is that “Democrats grossly underestimated the political damage of pushing through health care reform and that the issue is a primary reason Democrats are set up for big losses come November.” This isn’t the reform Americans were looking for, and for months the public said loud and clear that Congress should stop and start over. But Democrats charged ahead anyway. In less than two months, Americans will get to render their verdict on this course of action. November is Coming! Tags: Obamacare, higher costs, repeal Obamacare To share or post to your site, click on "Post Link". Please mention / link to the ARRA News Service. Thanks! Bill Smith, Editor: As retired Air Force who served during the Vietnam War as both enlisted and as an officer, I just had to share this public interest story. Many good men lost their lives serving our country in Laos and other "undisclosed" places. The truth of their service has been denied, hidden with false reports or classified because the leadership in Washington, D.C did not want it known that American military were serving in various foreign locations. This Medal of Honor for CMSgt Richard Etchberger is long overdue. I was a young airman when Etchberger died but I recall several senior grade sergeants who kept me in line, trained and prepared me and then pushed me on to a successful Air Force career. This award also recognizes many others who faithfully served in "undisclosed" locations! Reported by Military.com: Richard Etchberger died in Laos in 1968, saving fellow Americans at a top-secret radar station overrun by North Vietnamese commandos. Etchberger, who grew up north of Reading, Pa., was nominated that year for the Medal of Honor. But there was a problem: The United States was not supposed to have troops in Laos. President Lyndon B. Johnson declined to award the medal. On July 7 of this year, Etchberger's son, Cory, received a phone call. "Will you please hold for the president?" a woman asked. President Obama then told Cory Etchberger that his father would finally receive the Medal of Honor. "It's been a long time coming," Obama told Etchberger, 51, of Schwenksville, Montgomery County. Cory Etchberger, who recounted the conversation with Obama, was 9 when his father died at Lima Site 85, which directed bombing missions into North Vietnam and Laos. Richard Etchberger, a chief master sergeant in the Air Force, was selected to work at the radar station and was converted into a civilian employee of Lockheed so his presence in Laos would not technically violate that country's neutrality. The radar station directed 507 strike missions against North Vietnamese targets from November 1967 until March 11, 1968, when enemy soldiers engaged the facility in a fierce battle, according to the Air Force. Under withering fire, Etchberger loaded wounded comrades into slings to be raised into a rescue helicopter before coming aboard himself. He was mortally wounded by an armor-piercing bullet that had ripped through the chopper. He was 27. Etchberger was posthumously awarded the Air Force Cross in a secret Pentagon ceremony. His family, except for his parents, who were sworn to secrecy, was not told what really happened. The mission was declassified years later, but Etchberger was not eligible for the Medal of Honor because of a time limit. In 2008, Congress approved a waiver. His family will attend a White House medal ceremony on Sept. 21. Tags: Medal of Honor, Airman, CMSgt, USAF, Air Force, Vietnam War, Richard Etchberger, Laos, hero To share or post to your site, click on "Post Link". Please mention / link to the ARRA News Service. Thanks! OBAMA: If I said the sky was blue, they’d say no. CHYRON: THAT’S RIGHT. THEY DO. DEM COMMERCIAL 1: I’ve had to say no far more than I’ve said yes. DEM COMMERCIAL 2: [That is] why I voted against all of the bailouts. DEM COMMERCIAL 3: And why I voted against the three trillion dollar budget. DEM COMMERCIAL 4: You saw it when he voted against health care. DEM COMMERCIAL 5: Against bailouts, against stimulus spending. DEM COMMERCIAL 6: And voted against Nancy Pelosi’s energy tax. CHYRON: WITH POLICIES THIS BAD, WHO CAN BLAME THEM? Tags: Party of No, Barack Obama, democrats, ad, RNC To share or post to your site, click on "Post Link". Please mention / link to the ARRA News Service. Thanks! Tags: fact check, President Obama, insurance, health premiums To share or post to your site, click on "Post Link". Please mention / link to the ARRA News Service. Thanks! Of course, this isn’t the first indication Americans have had that Democrats’ promises about lowering premiums wouldn’t come true. As early as November 2009, press reports were noting that the CBO warned that many Americans’ premiums would increase if the bill passed. After the bill was signed, even the President’s own Health and Human Services Department estimated in May that Democrats’ highly touted provision to let young adults remain on their parents’ insurance would increase premiums for families on employer health care plans. This flawed, bloated, and unpopular health care bill needs to be repealed and replaced with commonsense ideas to actually lower costs. Things are heating up as President Obama flew again to Ohio today to bully Rep. John Boehner for calling out the President's failed spending programs. Ohio is on the verge of defeating Democrats and sending more new Republicans to Congress. Out in Colorado, The Hill reports that Democrat Senator Michael Bennet is back tracking on the president who flown to Colorado to endorsed Bennet. Bennet is "facing a tough reelection, rejected the $50 billion public works program proposed by Obama earlier this week. 'I will not support additional spending in a second stimulus package,' Bennet said in a statement. The statement is a sharp pivot for Bennet, who voted for the initial $787 billion stimulus plan favored by Obama in February of 2009. . . . a reflection of the tough political environment facing Democrats this fall. . . . Recent polling suggests that Republican candidate Ken Buck is leading Bennet. Tags: Barack Obama, broken promises, ObamaCare, health care, insurance premiums, Ohio, Colorado To share or post to your site, click on "Post Link". Please mention / link to the ARRA News Service. Thanks! by Virginia Crossland-Macha, Guest Editorial: Have you ever heard of "divide and conquer"? With 10 brothers and sisters, I am very familiar with this technique! All successful strategies in WARFARE have been successful because of the TROOPS coming together at the appropriate time and bringing the hammer down when the critical moment arrives. Memories of my brothers talking me out of my dessert springs to mind! Yes, a finely tuned BATTLE plan can steer you to victory if your LEADER is steady and the mission is clear. I am describing how Americans for Prosperity (AFP) and how the American people have been able to stop or at least slow down the Left from transforming our country until reinforcements arrive. Lately I have watched the Left try to divide and conquer ever successful organization that bleeds conservatism, moral obligation, or anti big government. Let's review: there are TEA parties, Americans For Prosperity, Glenn Beck, Rush Limbaugh, Sarah Palin, and on and on! One of my friend has asked me to comment on John Martin's (the Happy Conservative) article on Outraged Patriots in which he addresses how the enemy is now within and alleges that that Americans For Prosperity is not who they say they are because AFP has not commented on immigration. Mr. Martin alludes to Joseph Farah of the World Net Daily Radio Show who discusses the infiltration of this enemy within and never included or named Americans For Prosperity. Martin's approach seems disingenuous or maybe Mr. Martin is suffering from what we all may be feeling - Frustration. Since the new regime set up shop in Washington, D.C., AFP has spent more money to provide information and venues to inform the public on issues. National and AFP state chapters must operate with limited budgets which is even more limited during an election cycle. With so many issues, AFP has to chose what is most relevant and what issues are coming up for a vote. REMEMBER, staying focused and on message is the key strategy to stopping bad legislation. Americans For Prosperity has been highly successful in rounding up the troops to thwart the Left wing agendas by staying focused and on message. As a result, they have been able to inform the public who in turn has expressed their feelings to their elected officials. AFP actions along with the actions of other organizations has focus on the issues which has slowed down the voting on major pieces of the liberal transformation process. Now, the Left is fighting back trying to divide AFP and its followers in order to overcome AFP's success. Consider the Left's madness. 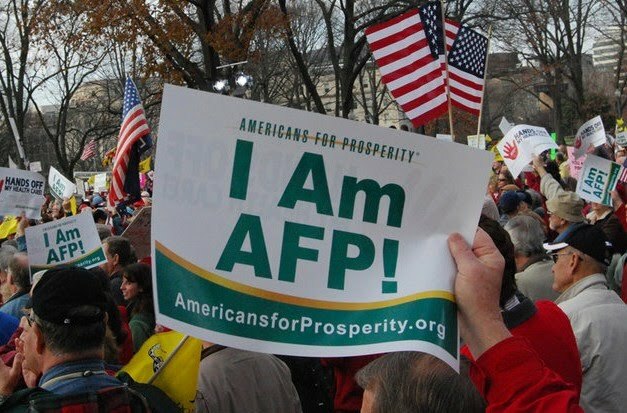 Recently, AFP was focused on nationally when Barack Obama gave his Seal of Disapproval to Americans For Prosperity. The President wants to know who contributes funds to AFP. Why? Because, AFP is focusing on the Obama administration's agenda. AFP's founders David Koch and Charles Koch have been elevated by the Left as questionable characters. Sound familiar; Villains and Secrets and Bears, Oh MY! So, who is AFP? AFP is composed of Americans who turn out at rallies; Americans who give donations no matter how small or big; Americans who man phone lines; and Americans who helps get the message out to their friends and neighbors. Belief in limited Government, fiscal responsibility, and free market principles define most Americans so it is easy for most Americans to identify with AFP! Who are the Koch brothers? To the Left, they are villains, but to Kansas (an America) they should be Heroes. First, there is their contribution to the American economy by providing private sector jobs. Jobs paid for by the private sector; jobs that are not dependent on the taxpayers. The Koch family has lived the American Dream and their efforts to preserve that dream for the many generations to come is commendable. Yes, they support organizations like AFP that promote transparency and limited government. As an American, I say Thank you God for giving us two Patriots that would suffer public scrutiny in order to preserve Freedom! To find out more, go to Koch Industries and search the site using the word "contributions" to learn about the myriad of the contributions made by the Koch family. Yes, Mr. Martin's warning about the enemy within is all too real, but he missed the mark in condemning AFP? To the informed and involved AFP supporters, the accusation finger may well point back to Mr. Martin! Buying into generalities of the "Lame Stream" Media or misquoting Mr. Farah to make a point seems desperate at best. My suggestion to Mr. Martin is to support groups like FAIR who address illegal immigration as their focus. Put your money where your heart is. There are many one issue organizations that could use funding. But, everything you write or read, please fact check it. If you have the real facts on your side, you will be successful at the debate. But, leave the emotion at home. If the answers to your questions are not satisfactory, GO to the top! I am sure that if Mr. Martin would have contacted Tim Phillips, President of AFP, as to why AFP is not addressing illegal immigration, he would received an explanation. I have written Phillips numerous times and he has always responded. I do not doubt Mr. Martin's patriotism or conservatism; sometimes we all have hit the wall of frustration when patience runs out and our pen becomes the only outlet left! Virginia Crossland-Macha resides in Kansas and is an citizen activist. She is not an officer or employee of Americans for Prosperity. However, she has joined with hundreds of thousands of people who support the American for Prosperity message of limited government and free enterprise. In 2009, Virgina even traveled to Arkansas to assist the ARRA Editor, at a TEA Party rally, in sharing information on the pending National Health Care Law which now requires citizens to buy medical insurance or to subject to fines and imprisonment. Note: For those interested or mostly interested in illegal immigration or immigration reform, a list of potential organizations addressing these issues may be found by clicking here. Tags: Americans for Prosperity, AFP, friend, not foe, I am AFP, To share or post to your site, click on "Post Link". Please mention / link to the ARRA News Service. Thanks! Can You Imagine the Lame Stream Media's Reaction had this Maniac been a TEA Party member? The lame street media and the government have been giving Eco Terrorists a break for years. Maybe the left leaning elitists in their heart concur with these eco nuts. Tags: William Warren, political cartoon, Al Gore, Discovery Channel Terrorist, Eco Terrorist, Mainstream Media, TEA Party Movement To share or post to your site, click on "Post Link". Please mention / link to the ARRA News Service. Thanks! Gary Bauer, Contributing Author: If you think today is just the day after Labor Day, you’re wrong. This also marks the first day of the campaign season – the day when most Americans historically begin tuning into elections. First, the good news. The polling is tremendously encouraging for Republicans, as this Politico column notes. But the bad news is that Democrats won’t be caught off guard like they were in 1994. It is difficult to overstate the resource advantage Democrats have. While conservatives were demoralized after 2006 and 2008, the Left experienced a fundraising bonanza. As a result, Democrat incumbents in many of the most critical races have huge bank accounts. They will use this cash to dominate the airwaves, “carpet bombing” their conservative challengers with negative ads from now until November 2nd. Moreover, it was recently reported that two labor unions – the AFL-CIO and the SIEU – will spend “a combined $88 million or more” in the elections. That’s just two organizations among the myriad of left-wing groups! The Left’s strategy is clear. Democrats are going to do to every conservative candidate what they have done to Sarah Palin – they want voters to forget about all the failures of the liberal agenda, and they will try to convince you that conservatives are stupid, extremists, wacky, racist, etc. Don’t fall for it. Our country can’t afford two more years of the Obama/Pelosi/Reid regime. ACTION ITEM: In the days ahead, we will be asking for additional financial support. But here’s something that won’t cost you a dime. Talk to your friends and family members, especially younger voters. The evidence is overwhelming that many young people who voted for Obama are rethinking that choice, as the New York Times reports. If you’ve got a young person in your family who can’t get a job, who thinks unborn babies deserve to be protected by the law, who wants to see America free, strong and prosperous, approach him or her about those issues. Talk about how high taxes and government regulation kill jobs. (Even Obama’s former budget director now says all the Bush tax cuts should be extended.) Explain how Obama’s record deficit spending threatens their future standard of living. Remind them that America is a force for good in the world and that our values are worth defending. This is important, friends. The Democrat National Committee is spending $50 million to re-connect with first-time votes who backed Obama in 2008. In many cases, they are college graduates now entering the work force and facing a future that is less hopeful than the one they were promised two years ago. We can win their votes in 56 days. Tags: 2010 election, campaign season, elections, Gary Bauer, Campaign for Working Families To share or post to your site, click on "Post Link". Please mention / link to the ARRA News Service. Thanks! In the face of all this President Obama’s solution is more government spending and more tax increases! Now it is his own administration admitting his proposal won’t put people back to work quickly. Do You trust the Washington Democrats asking for more of their money? Where are those ‘shovel-ready’ jobs they were promised more than a year ago? Tags: democrats, economic policies, unemployment, no jobs, stimulus failure, Obama Administration, polls To share or post to your site, click on "Post Link". Please mention / link to the ARRA News Service. Thanks! by Duane Lester, All American Blogger: There are many things that compete for the most outrageous thing in America. There’s the actions of union thugs at town hall meetings, beating and intimidating average citizens who want to be heard or just sell a flag. But without a doubt, the most outrageous thing in America right now is the fact that American land in under control by foreign drug smugglers and human traffickers and the federal government has done nothing about it but put up signs telling Americans to stay out. I know I have written about this before. But it is so amazing to me that this is going on and no one in Washington is outraged about it that I feel it has to be brought up again. Consider how outrageous this is. Mexican drug cartels have set up base in the mountains of Arizona, which are, as much as liberals hate it, still part of the United States of America. They are controlling those mountains with weapons that are certainly illegal, and no member of the House of Representatives or Senate is standing on the floor of Congress demanding that something be done about it. “So who has partnered with the ACLU?” Babeu said in a telephone interview with CNSNews.com. “It’s the president and (Attorney General) Eric Holder himself. And that’s simply outrageous.” . . . While law enforcement is busy dealing with lawsuits and paranoid that some legitimate action they take will be warped and spun into an act of overt racism by the ACLU, the bad guys are running the border. “Mexican drug cartels literally do control parts of Arizona,” he said. “They literally have scouts on the high points in the mountains and in the hills and they literally control movement. They have radios, they have optics, they have night-vision goggles as good as anything law enforcement has. These same people are also the reason Phoenix has become the kidnapping capital of the USA. Recently a young girl was picked up in Arizona, drug to Mexico and ransomed. When they realized the caper wouldn’t pay, they dumped the girl in the Mexican desert to die. For two and a half days after Andrade’s abduction, the kidnappers — including a man whom Andrade later said had been a friend — deprived their victim of food and water. Through the door of the closet where he was held, Andrade could hear the cries of other victims being tortured in the house, the report said.Meanwhile, Valencia had defied the kidnappers and called police, who listened to Andrade “scream and howl in pain” over the phone as the kidnappers tried to cut off his ear and a finger. The torture would continue until Valencia came up with the ransom, the kidnappers told her. They were true to their word. The blindfolded Andrade “could feel his pants and underwear being cut open by an unknown person,” he told police. He was told to bend over and was beaten when he refused. “Jaime felt his legs being forced apart and heard Aldo say he was going to get his money,” the report said. The kidnappers then sodomized him with a broomstick, a pair of scissors and a wooden dowel used to hang clothes in a closet. Do we need to redefine the problem in terms that might actaully raise the hackles on the back of a liberals neck? They have guns, liberals. Big ones. Perhaps we should send the ATF into take them. They are destroying the environment. Maybe some members of the EPA and Greenpeace need to go up there and check out the damage being done the natural beauty of the American southwest. And honestly, why is there no concern from this president or the liberal dominated Congress about human rights violations? There is human trafficking going on in these areas and they know it. They put it on the signs! Why is nothing being done to end it? Why is it being allowed to continue? Politics? You know that’s what it is. Drug smugglers are being allowed to control parts of America, human beings are being trafficked into and out of those areas and people are being kidnapped and tortured and nothing is being done because we don’t want to alienate a protected class of voters who might choose to vote for the other guy. This, my friends, is the most outrageous thing in America right now. What are you going to do about it? Are you going to call your Congressman and tell him that he or she needs to do something about this? Are you going to call you Senator and demand they take some kind of action? Are you going to attend a town hall and bring this to the attention of everyone there? What are you going to do? Because if we don’t do something, no one will. Tags: invasion, border control, crime, illegal immigration, security To share or post to your site, click on "Post Link". Please mention / link to the ARRA News Service. Thanks! 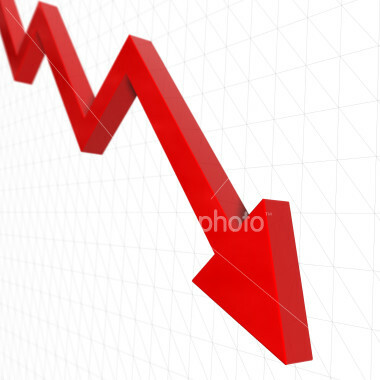 Tags: Labor Day, economic crisis, To share or post to your site, click on "Post Link". Please mention / link to the ARRA News Service. Thanks! 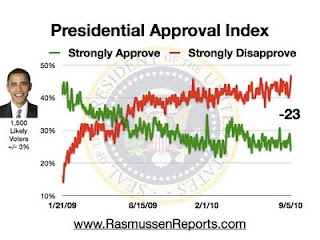 Rasmussen Reports in its Daily Presidential Tracking Poll (9/5/2010) gave President Obama his lowest Negative Approval rating ever; a -23 (24% of nation strongly approve; 47% Strongly Disapprove of Obama Performance as President. On a full-month basis, the Presidential Approval Index has stayed between -14 and -17 for eight of the past nine months. The Rasmussen Reports Election 2010 Balance of Power shows Democrats with a 48-45 advantage for the US Senate while seven races remain Toss-Ups (California, Colorado, Illinois, Nevada, Ohio, Washington, and Wisconsin). The Rasmussen Reports Gubernatorial Scorecard projects 27 Governorships for the GOP, 16 for the Democrats, and seven Toss-Ups (Florida, Illinois, Maryland, New Mexico, Oregon, Vermont, and Wisconsin). 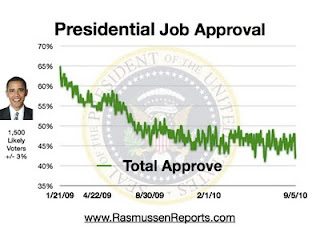 Tags: Rasmussen Reports, President Barack Obama, September 5, 2010, approval index, approval, disapproval, Congress, economy, repeal Obamacare To share or post to your site, click on "Post Link". Please mention / link to the ARRA News Service. Thanks! January 2011 and the picture won't be pretty. 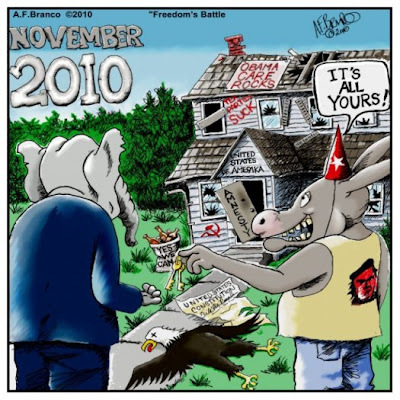 Tags: cartoon, November is Coming, 2010 elections, January 2011, Democrats, Republicans To share or post to your site, click on "Post Link". Please mention / link to the ARRA News Service. Thanks! Bill Smith, Editor: Tomorrow is Labor Day on which we do not labor unless you are pregnant and delivering your baby - then you are in real labor. Today, many people went to Church. While the liberals want Christians to reshape the Church and their Christianity, they are not asking Buddhists to stop being Buddhists or the Muslims to not to be Muslims, etc. But, liberal progressives do want Christians to be "not too" Christian. After, all they don't want the Truth standing in their way. Compromise is want they want from those pesky traditional values Christians. Tags: satire, confronting truth, Sunday, traditional values, progressive, Church, Progressive Church, TV commercial, Christian, Christianity, To share or post to your site, click on "Post Link". Please mention / link to the ARRA News Service. Thanks!